I got the idea from watching this YouTube video and after almost two weeks of using it, I can honestly say I am loving this system! Hopefully, it can save some of you in the same way it has definitely saved, and continues to save me. It's my Parent School Binder and I honestly don't know where I've been all these years that I never thought of doing this. For an organization freak like myself, it's almost unbelievable that it took me this long to put something like this together. Unlike the system in the above YouTube video though, I can guarantee that my folder is much cheaper. Most of the materials I used are from the Dollar Tree, save for the tabs, labels and sheet protectors. I already had those on hand and didn't need to buy any more. 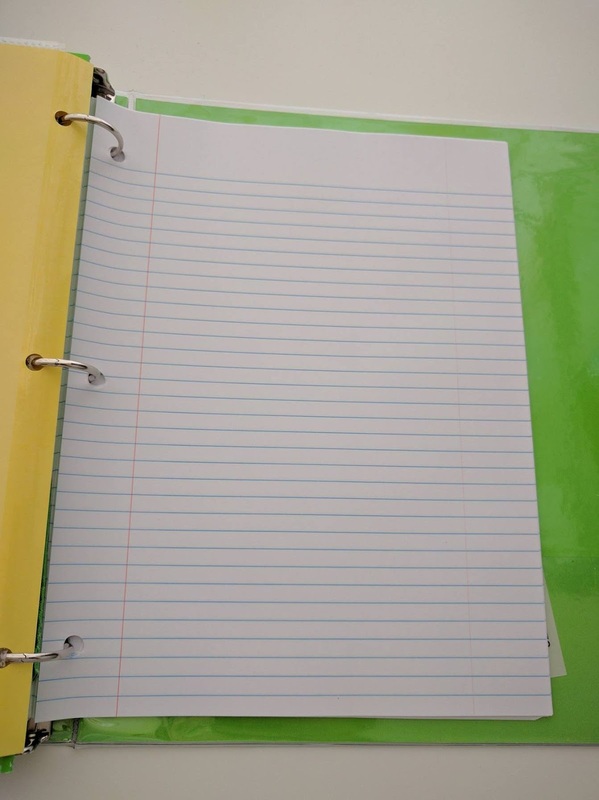 So for those who are not familiar with this system, it's a binder that any parent can put together so that all school-related documents are in one easy-to-find place. In past school years, I've either had several folders filed separately somewhere in my office and I've had to go to different locations to locate whatever was needed. Now they're in one centralized location, with this bright-colored, happy lime green binder keeping them together neatly organized. You can absolutely tailor this according to your needs and insert additional sections for each additional child. I only have one so let me show you how I've organized mine. First of all, I was lucky to have found a Dollar Tree pencil case in the same design as the binder. I clipped that in the front. It's convenient to include this especially if you consider bringing this binder to school for Parent Orientation or Parent-Teacher Conferences. Under CALENDAR, I first inserted a monthly calendar which I also found at the Dollar Tree. It came with a hard plastic folder-like backing (also in green!) and a clear plastic front which makes it really convenient. Then I had a sheet protector each for the School District Calendar, as well as the Lunch Menu for the month. Finally, I included a folder and labeled it School Events for whatever flyers we may need to keep for events we're attending. The second main section, DOCUMENTS, has 5 tabs under it: Forms, Policies, Report Cards, Permission Slips/ Receipts and Excuse Slips. On our school's website, they have printable forms for notifying the teacher about early dismissal, absences, as well as application for out-of-town trips during the school year. Such documents will be filed under 'Forms'. The 'Policies' folder includes both documentation of school-wide (left side of folder, e.g. School Handbook, Illness Policy, log in information for school website, etc. ), as well as homeroom-specific rules and regulations (right side of folder, e.g. Guidelines shared by teacher during parent orientation, etc.). The 'Report Cards' and 'Permission Slips' folders are self-explanatory. However, I also included 'Receipts' with the 'Permission Slips' section. This refers to any school-related document you want to keep a copy of as proof of payment. Examples of this would be payments made for school portrait packages, receipts from school merchandise bought, or proof of payment to PTO/PTA activities. Finally, the 'Excuse Slips' folder will contain my personal copy of doctors' notes whenever my child misses school. The third main section, STUDY MATERIALS, includes any review materials or study guides either sent home by teachers or ones we find or create ourselves. 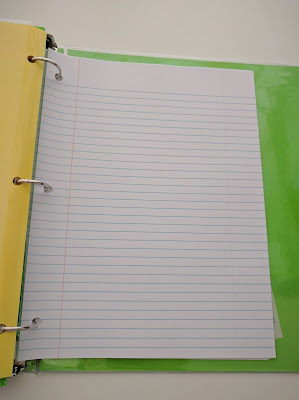 The fourth and last main section, BLANK SHEETS, just has a few college ruled sheets of paper (150 sheets for $1 at the Dollar Tree) for whenever I may need them. 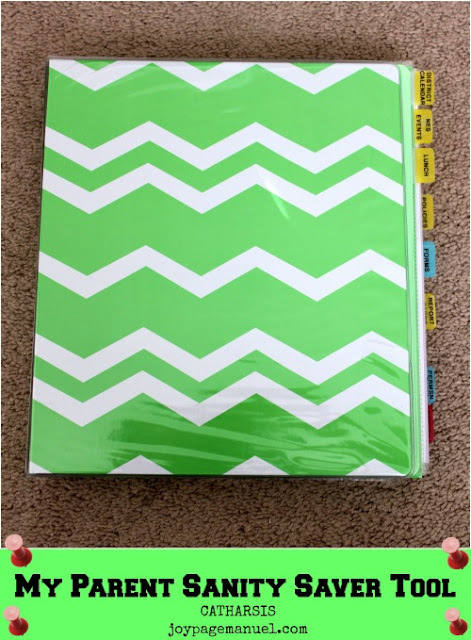 Excluding the sheet protectors and post-it tabs that I already had, I only spent a total of $8 at the Dollar Tree for the rest of the supplies I needed to put together this Parent School Binder. The cost will of course depend on how detailed you want your folder to be, as well as the number of students you have in your family. I hope this helps! Here's to a great, more organized school year ahead!